Did you know there are scads of hairstylist appointment book options out there? I mean gobs. You can find salon appointment book software, salon scheduling apps, and even online salon scheduling sites. As a hairstylist who is a creature of habit, I always ended up with the same type of salon appointment scheduler year after year. Granted, I searched for the same exact layout in different color options, but the color of the cover was the only thing I ever changed. Keeping a schedule while working at home was challenging for me at first, until I realized something valuable: I have worked well by appointment my entire career, and I needed to keep doing what I know. I decided to find myself a good hairstylist appointment book to help me stick to my schedule, because this method of organizing my time has always worked for me. This realization got me excited…shopping for office supplies is my favorite! I decided to jump out of my comfort zone and look for something more than just a hairstylist appointment book. I needed more than just the days of the week broken up into 15 minute increments, something that gave me a little more creative freedom than that. Y’all, the options are endless! I scoured through salon appointment software options, salon scheduling apps, and the sea of actual, physical hairstylist appointment books out there and decided that I function best with pencil and paper. I work on my computer all the time, which may sound like I would enjoy keeping my schedule this way, but I actually enjoy the break from a screen and keyboard when I’m filling out my tasks each day. I’ll explore all the options here, and you can decide which of these salon appointment systems is best for you. The hairstylist appointment book that many use in the salon is similar to this Portage Salon Appointment Book. It’s on Amazon for $11.99. This one has a simple but cute cover, which just says “The Book”…we all know that your hairstylist appointment book IS, in fact, THE book when it comes to managing your time in the salon! I really like this one for a simple, straight-forward salon appointment scheduler. If you want something just as straight-forward but with a little more cuteness, the Marianna 4-column appointment book with a fun chevron design on the front cover is available on Amazon as well. The front cover never meant much to me, since my book was never closed, but this is pretty and colorful. It’s in the same price range as the more plain one mentioned above, and may even be a little less. On either of those options, you will have to fill out the dates yourself. I always, without fail, would make a mistake in the dates and have to go back and fix it, so be sure to fill it in with a pencil! For this reason, I always went with the the At-A-Glance Dayminder appointment book, which comes pre-dated. I couldn’t find one for just one person on Amazon; they all seem to be 4-person or 8-person books, but I usually found mine at a local office supply store. Here’s the appointment book I found for working at home, and one that I TOTALLY would have used as a salon appointment scheduler if I’d found it when I was still behind the chair! I adore this day planner so, so, so much! It’s called Day Designer (available on Amazon! ), and it is so much more than just a calendar. This planner is very motivational, helps you set and meet your goals, and even has a space for you to note what you’re thankful for each day. Here’s mine. Click the pic to buy something similar! The Day Designer is actually set up in an academic calendar format, so if you NEED to make the switch to this one right now, you’ve only missed a couple of months. It runs from July through June, which is a little different than what I was used to in the salon, but I was shopping at the end of June so it was perfect for me. 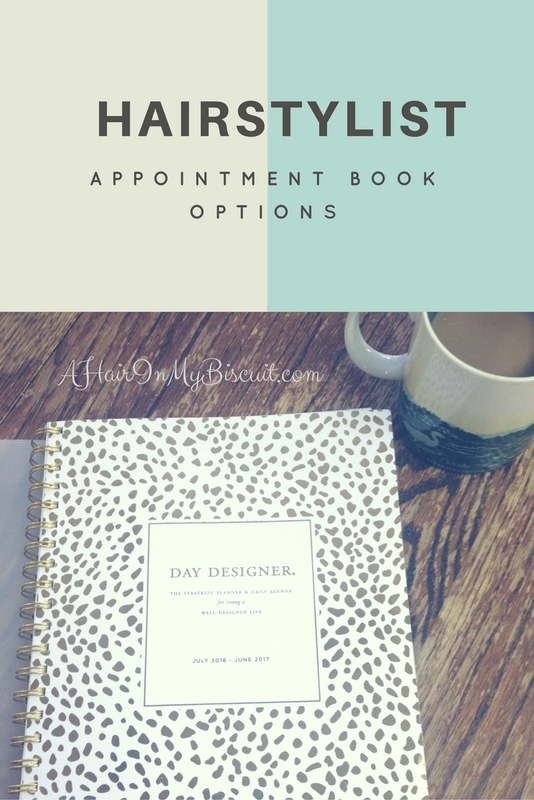 This would make an AWESOME hairstylist appointment book, because we all know as hair artists that creativity is important, and this planner has room for just that! The goal section (not pictured because I’ve already scribbled in mine) in the front is so wonderful, and for hairstylists it provides the perfect place to plan your year of successes! What kind of continuing education do you want to squeeze in this year? In what ways do you plan to improve your health so you can endure the standing that your job entails? Jot it down here! You can set your personal goals, financial goals, work goals, and more. It’s almost like a salon appointment diary, which can keep you organized AND give you creative freedom! I can’t say enough about the Day Designer. The only thing you may not love about it is the Saturday scheduler, because it’s broken up by the hour instead of the half hour. I stopped working on Saturdays years ago, with the exception of weddings and formal events, so the one-hour increments would’ve worked fine for me. You really should try this planner as a hairstylist appointment book…for just $39.99 on Amazon, it’s a steal for all that’s included. My At-A-Glance books always cost this much or more, and had a whole lot less going for them! The best salon scheduling software I found for large salons looking to organize EVERYTHING is Salon POS. This would be for large scale record keeping, like employee management, client management, appointment setting, gift cards and more. The price tag is fairly large, too, at $395 for the digital download. This software does it all, and claims to not be interrupted by weather or weak signals. This one is for the big dogs. A much more affordable option, which is also a digital download, is an app called Salon Software. Again, it’s a system for the whole salon, but seems much simpler and definitely has less features…and a MUCH lower price tag of just $19.95. This is an android app that will allow you to organize stylists, client contacts, and appointments. For Mac users, I’d recommend checking out Salon Software for Mac. It’s also a digital download, and very similar to the one mentioned above. Added features include adding client photos and Skype addresses, which is pretty cool. This one goes for $29.95. For a simple, one-person, free salon scheduling app, I would go with Vagaro Pro for Android. I actually did use something similar for a while, but I didn’t love having all of my clients in my contacts list, since not all of my contacts were clients. This app has great reviews, and I can see the benefits of using it if you’re a techie-type person. I’m just not. Whether you’re “old school” (like me) and want the hard copy of your hairstylist appointment book, or you prefer to have everything handily tucked into your computer or device, I think you’ll find an option here that you’ll love for keeping up with your busy days in the salon. It’s easy to tell which book I would go with, and that’s the Day Designer. Setting up my days working at home in an appointment format has truly helped me be more organized and stay on task, and the extra features of this planner have me swooning. I hope you’ll try it out as a hairstylist appointment book, and let me know how much you love it! After checking mine, I’m behind schedule…gotta run! 6 Ways to Build Hair Clientele for Salon Success	Rotten Floor Joist Repair is Underway at Big Creek! 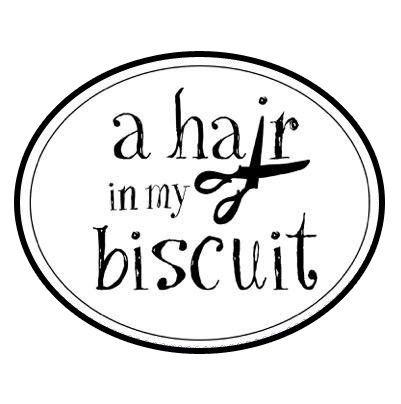 Just found your blog… I love appointment books/planners/and every thing office supply… I am also a hairdresser!! I am always looking for that perfect appointment book… with that being said have you tried StarrStylist appointment book… It’s very effecient.. Anyways! Have a great day! !